Technological advancements has influenced practically every aspect of human life. Yet, animals are not exempt from being beneficiaries of high-tech innovations. 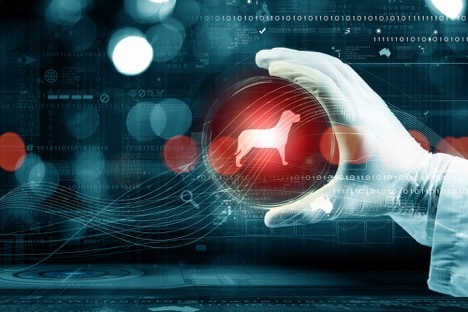 The way we interact with our pets at home is about to change. Gone are the days when your dog could only stay in the backyard, tethered to a chain. Pets are now more accepted as part of the family. Thus, even when at work or running other errands, a person would want to know how his pet is faring at home. 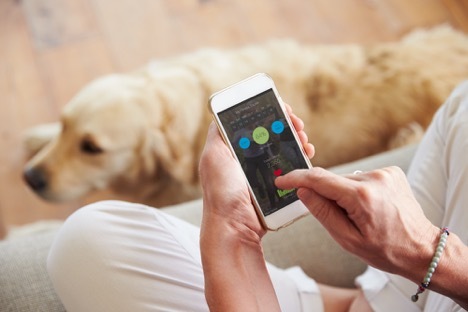 Imagine having an app that allows you to monitor your dog wherever you are. What’s more, you can give him one of his bites, or give him a toy to play with. You can see him on the pet cam wagging his tail in excitement as he enjoys his treats. This scenario is not far-fetched as it may seem. According to the American Pets Industry Association, there has been tremendous growth in the pet industry expenditures from 1994-2016. This has been so even amidst the economy being dipped into recession. This proves that pet owners have made their pets a priority and are willing to spend more on them. It is normal for us to enjoy close contact with our loved ones. Ben Jacobs, CEO of a tech pet care company, Whistle, says that as a pet owner himself, he could appreciate more the need to constantly keep in touch with their pets. Whistle has invented a GPS tracker that is attached to the collar of your pet to track the pet’s movement. The tracker can even alert you if the dog is leaving an area you have defined as ‘home’. This is especially useful for active dogs such as the German Shepherd, which requires plenty of activity and room to run. According to Jacobs, this product will obviously see much success in the pet world since it gives pet owners a peace of mind as they go about their daily activities. Technology could change how you keep track of your pet’s eating habits and overall health. FitBark is an activity tracker for your pet which allows you to monitor your pet’s diet and match this info with its activity levels. You can also be alerted of any unusual behaviour indicating a serious health concern. Moreover, dog and cat owners now consider product safety and risks of contamination when they purchase food items for their pets. Clearly, technology in pet care has added more meaning to the way we interact with these animals. As much as we are excited about having these advancements, these devices should not replace the time we spend with our pets. Remember, pets are social beings and they need attachment and social interaction. Don’t ignore your pet and let technology fill that void.